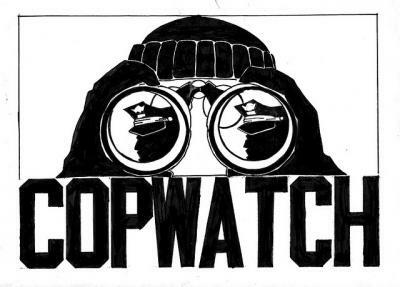 INVITATION TO THE COMMUNITY TO PROVIDE SUPPORT TO GRASS ROOT MOVEMENT | TORONTO'S FIRST "Cop Watch"
On May 27th Community Members from across the city will be meeting at Ryerson Student Centre from 6:30 pm to 8:30 p.m to discuss further strategies of “policing the police activities in Toronto”. We need everyone’s input and support. Please try to attend this meeting .. We need your help, at this meeting we are discussing the probable solutions to keep accountable the Toronto Police. Enough of Police Brutality!. Each year T.A.V.I.S conduct raids the 13 Priority Neighborhoods and it is a not acceptable the way they conduct business with the Community . We are all treated like criminals. Our rights are trampled , we are force to let open our home or they will bring down our doors.. They will scare and traumatized our children , they will engage in not professional manners with our youth. they will trash our communities and legal cost to the City because of action taken by the Community… T.A.V.I.S is a waste of taxpayer’s money if not handle properly. We need to stop them. It is time that we tell ( the cops) them who is boss in this city.. They aren’t …we are taxpayers who pay their salaries and benefits as such we need to be treated with dignity and respect. Its 1 Billion dollars it cost US taxpayers a year… they don’t behave in this way on affluent neighborhoods because they take advantage that , we are silent…Stop being afraid. It is time to speak up! Please come out on Monday May 27th. ← OF COURSE I AM BEING WATCHED BY C.I.S.S .. YOU DID NOT KNOW? Gary Gould…..ANOTHER BAD T.P.S COP.. HITTING IN THE POCKET .. where it hurts the most!! !